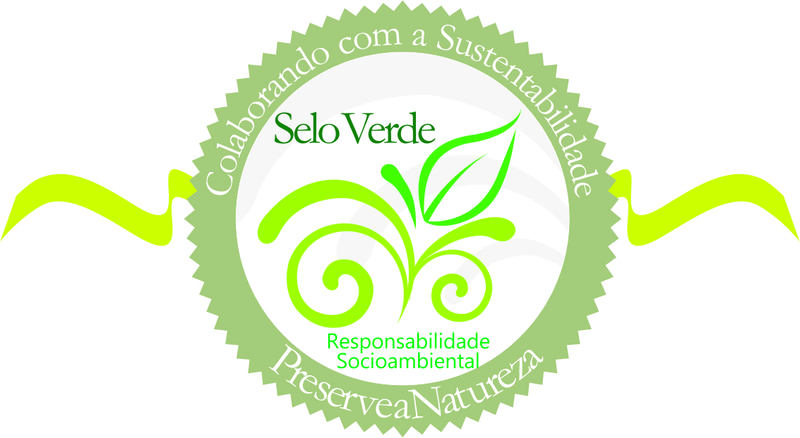 The company has always developed social and environmental actions, as for Caldema, the preservation of the environment has always been a matter of business survival, so the concern for the preservation of the environment is directly incorporated into the strategic planning of the company. 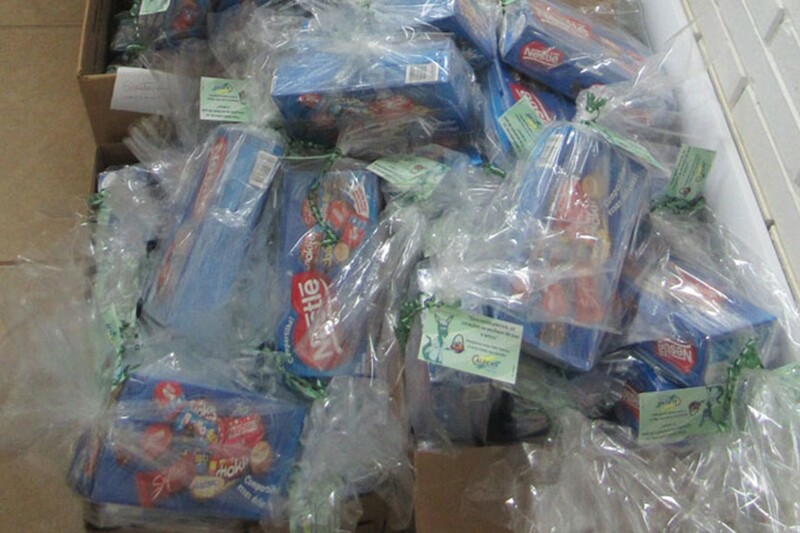 Its products, processes and services are reviewed, planned and produced for this purpose. 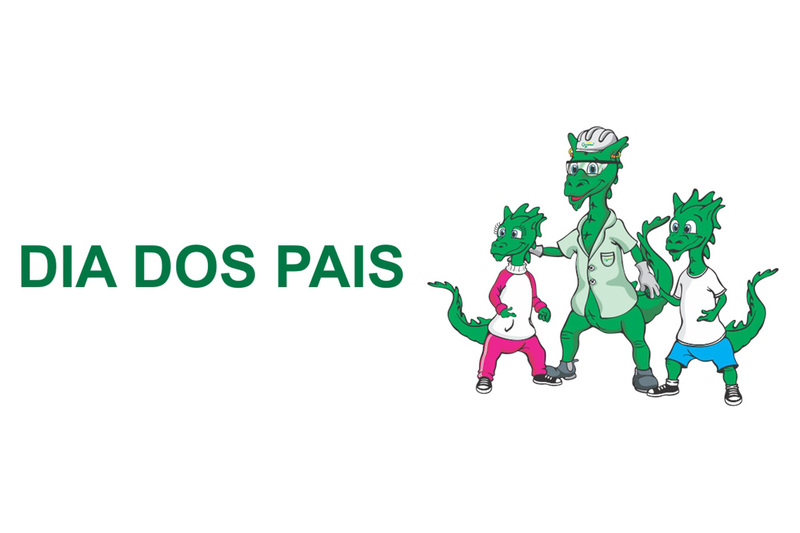 ANVISA Protocol – National Health Surveillance Agency. 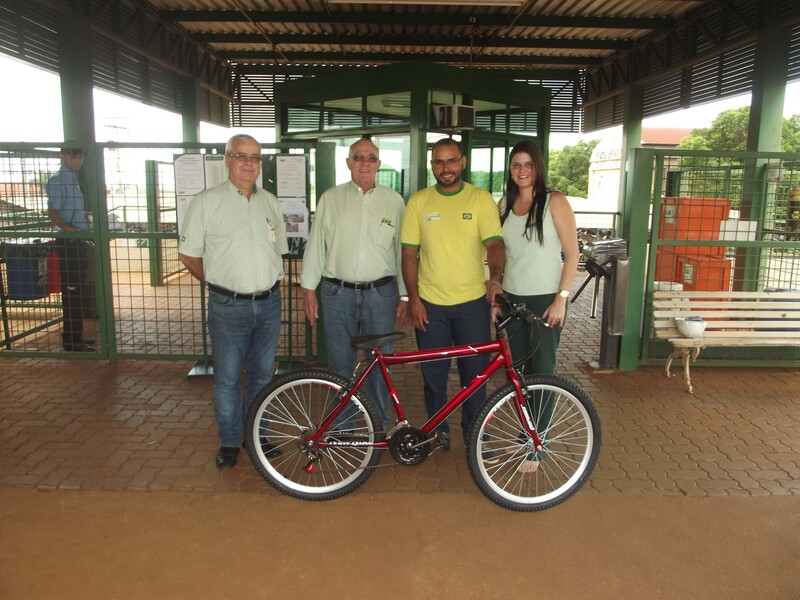 Caldema has as one of its objectives to promote social actions that add quality of life and well being of its employees, their families and the entire community. 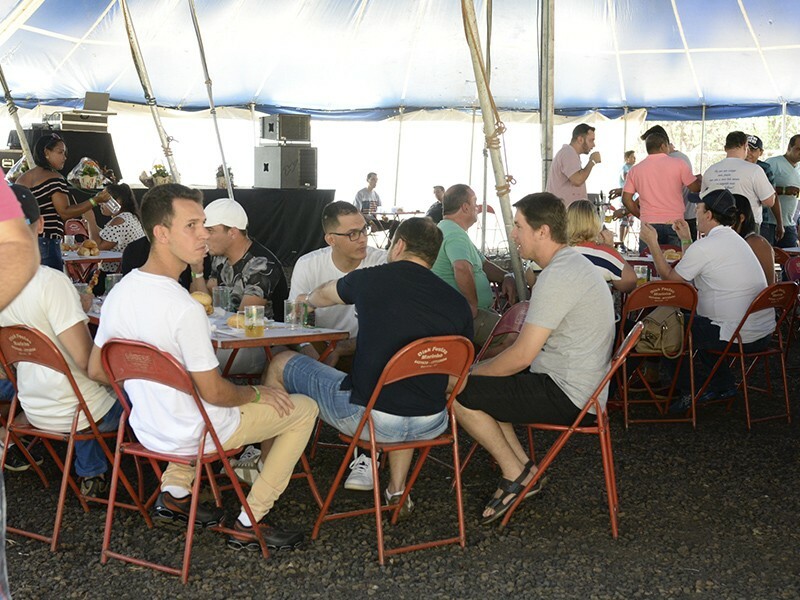 The company promoted by another year the Caldemães, traditional event held to mothers and wives of employees, where the aim was to promote a special day dedicated to them. 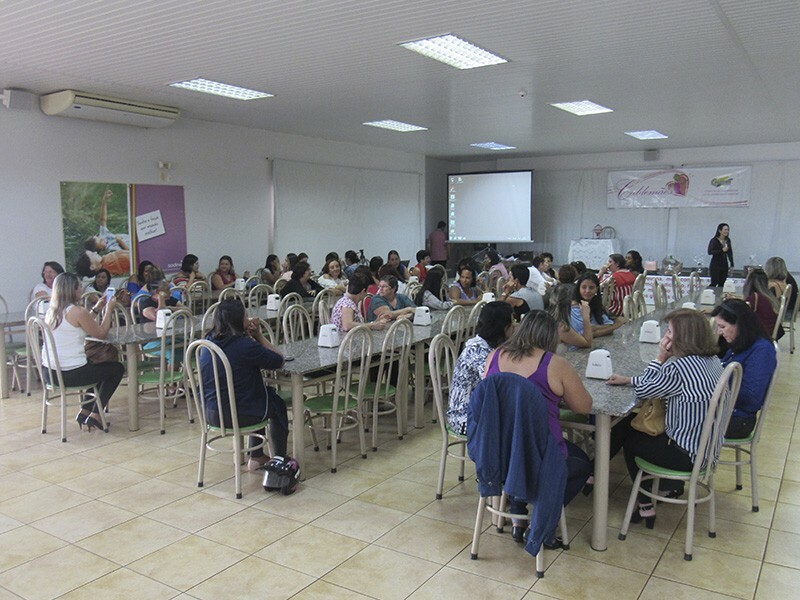 Held 14 years ago, the event was again complete success among the participants and the theme: "From woman to woman: facial beauty. 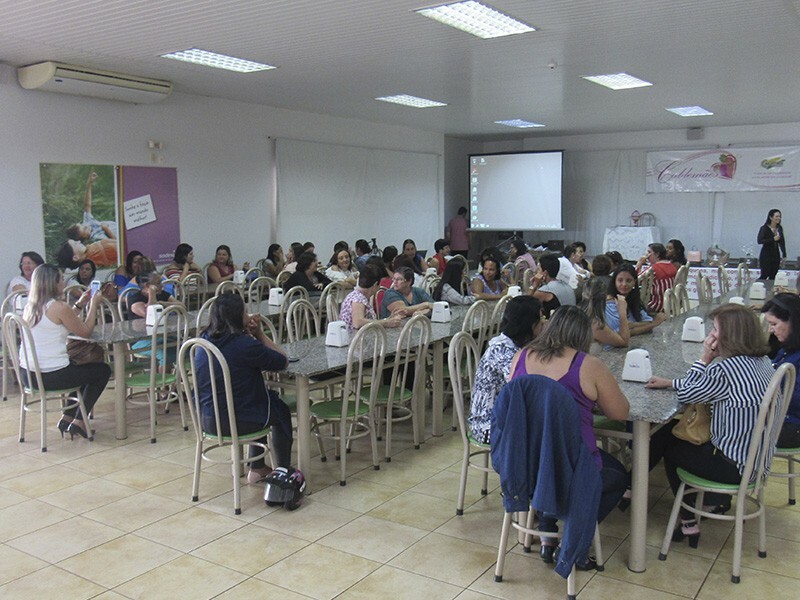 In the morning, a delicious breakfast was served, followed by a welcome speech made by company management and the social worker. 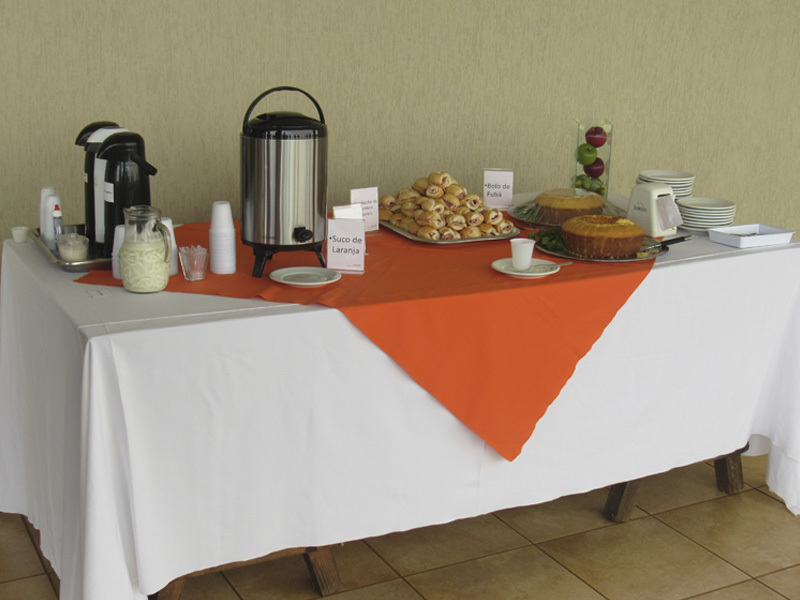 After there was a lecture on the subject with the esthetician Ana Claudia Segatto. 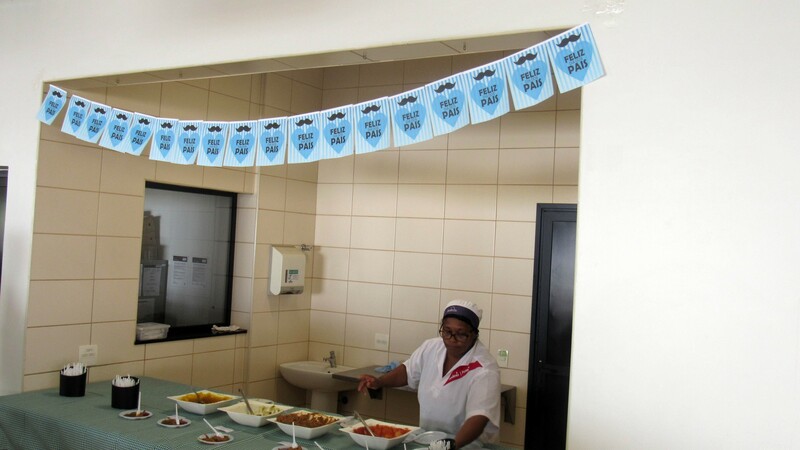 At the same time, the Sermed Saude officials were present and equipped for blood pressure measurement. 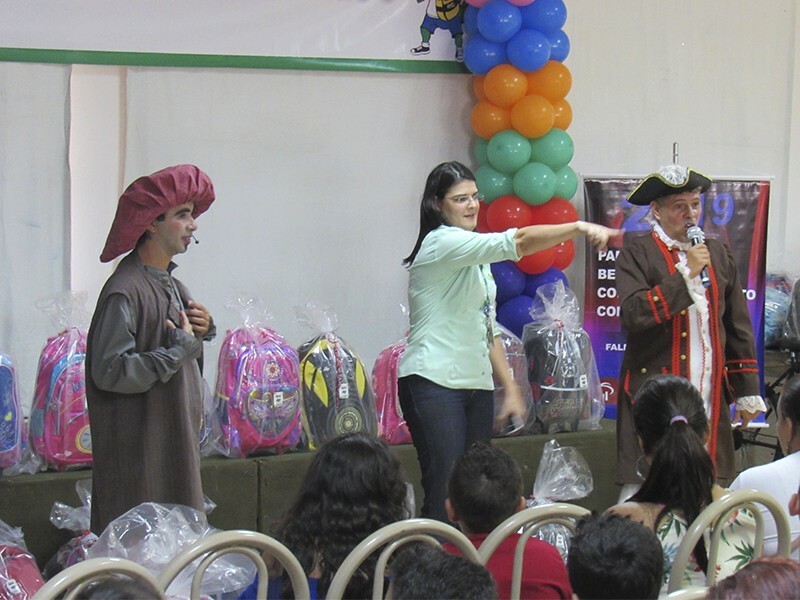 The actor Serginho introduced himself with a prince outfit, and in addition to amuse the audience, sang bingo and made the draw special thought about gifts made to them, such as bags, chocolate baskets, jewelry and more. 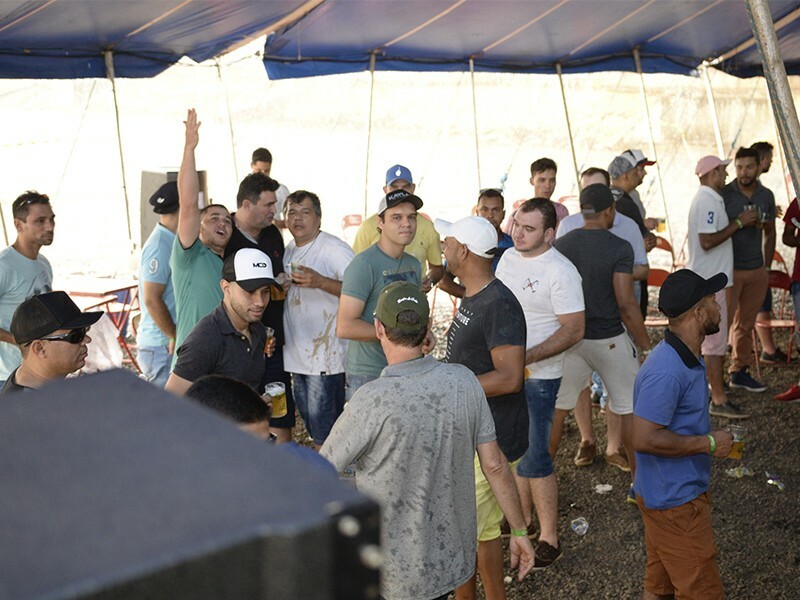 Then it was served a special lunch and to animate even more the day there was a lot of good music with DJ Marcelo Dias. 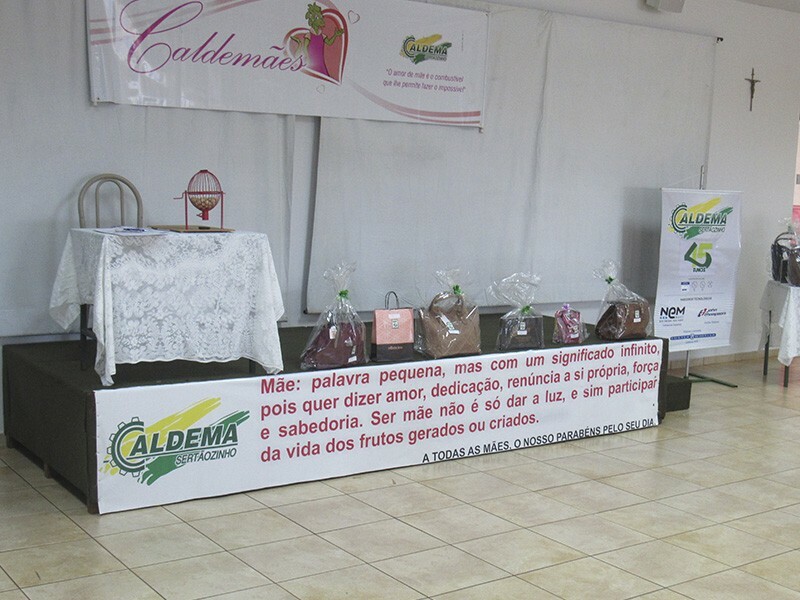 At the end of the event, was delivered to each of them, a reminder that Caldema offered a way to honor them and to thank the presence of all for having brightened once again Caldemães. 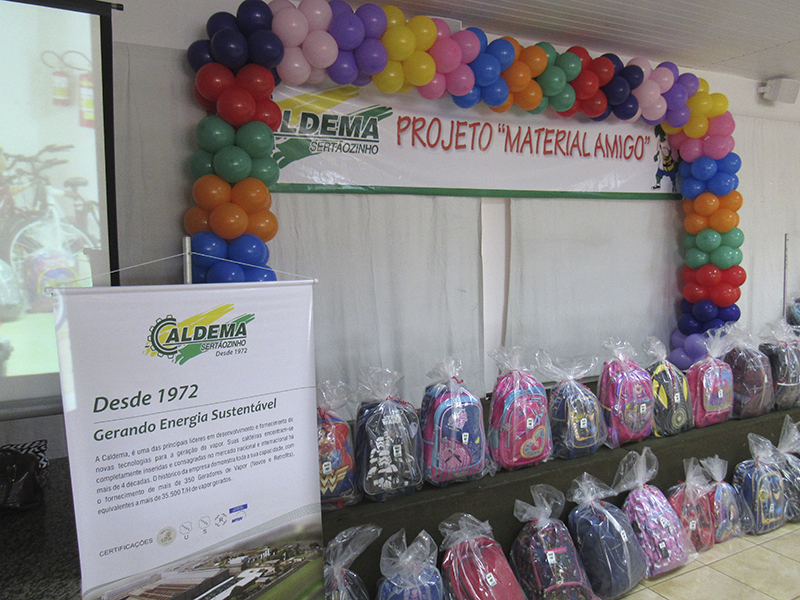 One of the events that Caldema most proud to participate is the Winter Campaign. 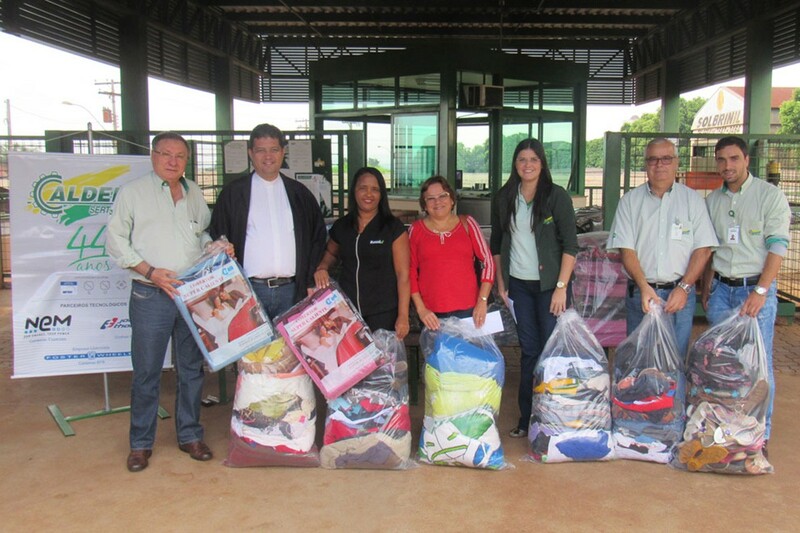 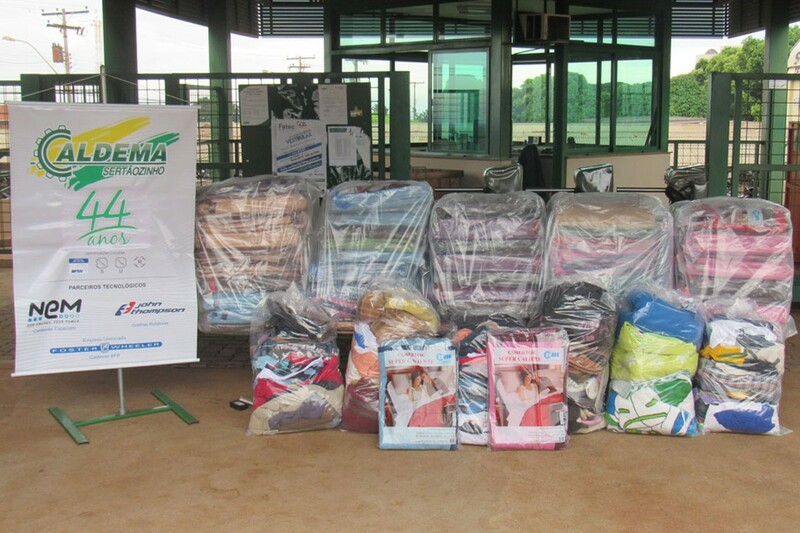 Thanks to good work of its employees, the company has come to donate more than 1 ton of clothing to those in need. 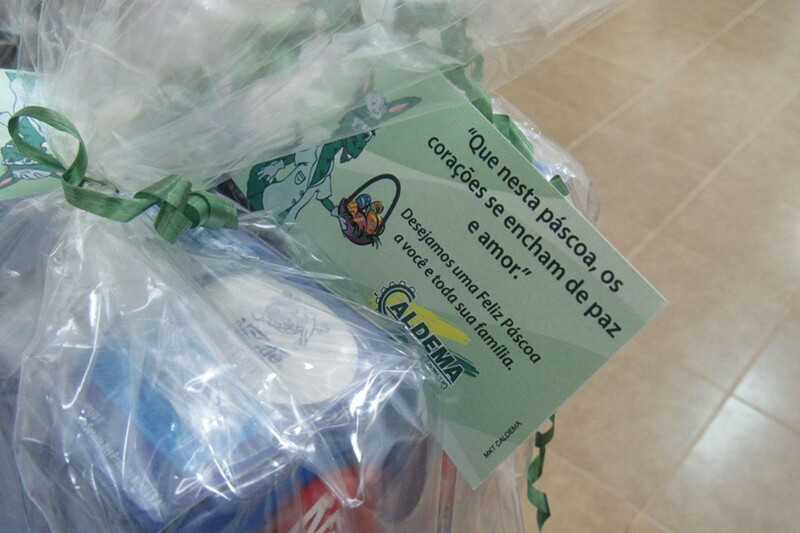 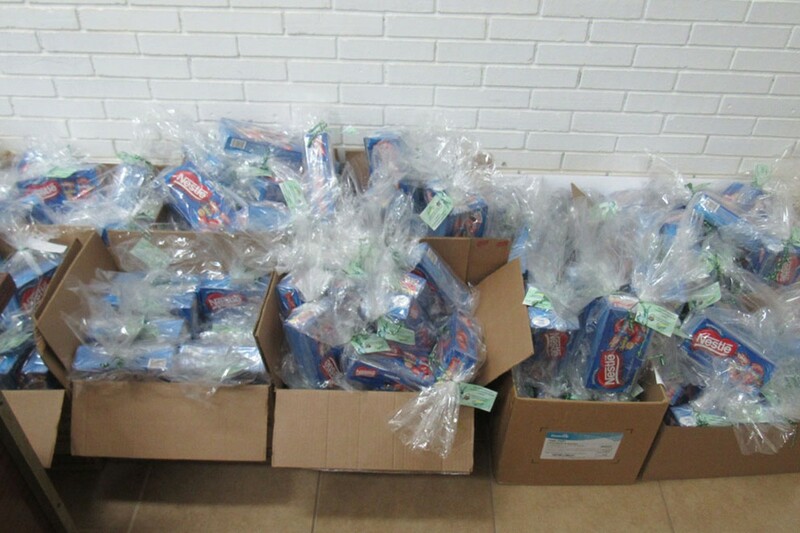 As every year, Caldema celebrates Easter with its employees, distributing an "Easter Kit". 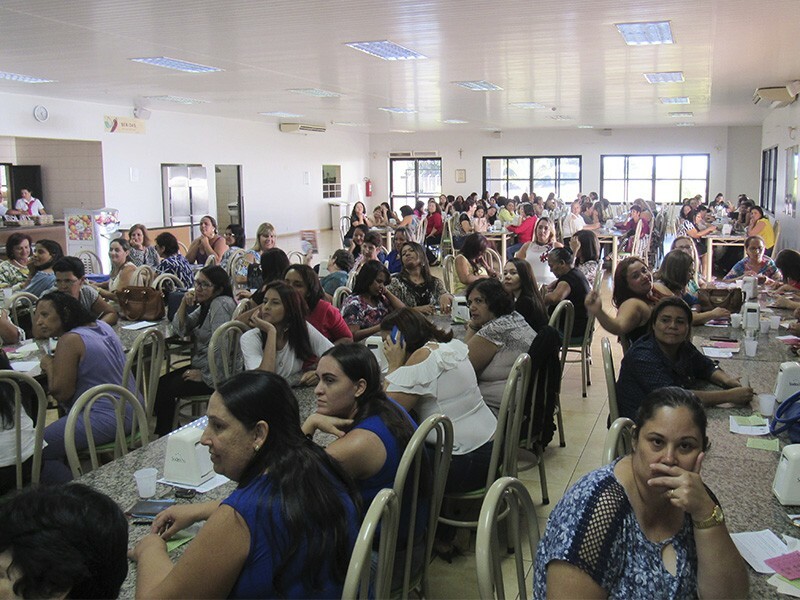 It is a symbolic action, but that extols spirituality and family unity that is so necessary today. 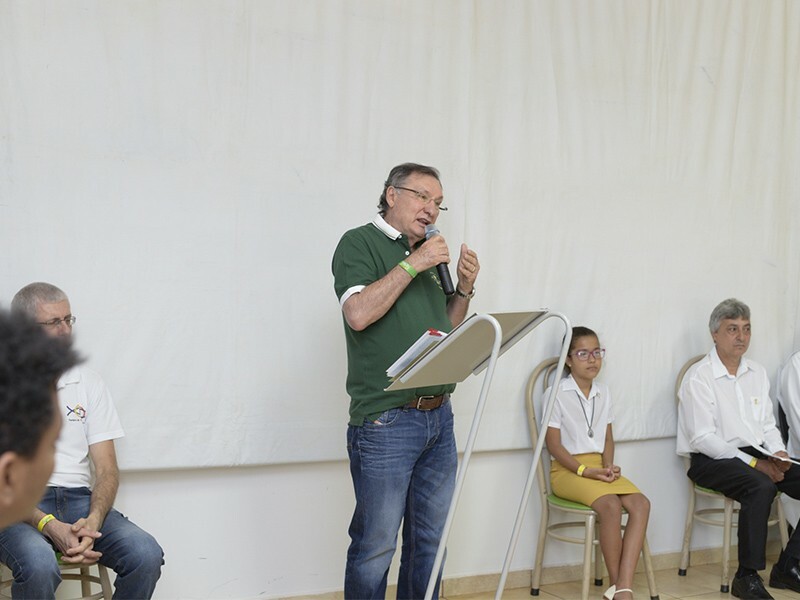 To celebrate its 46 years of existence, Caldema promoted the traditional hoisting of the national flag on September 01, the very day of his birthday. 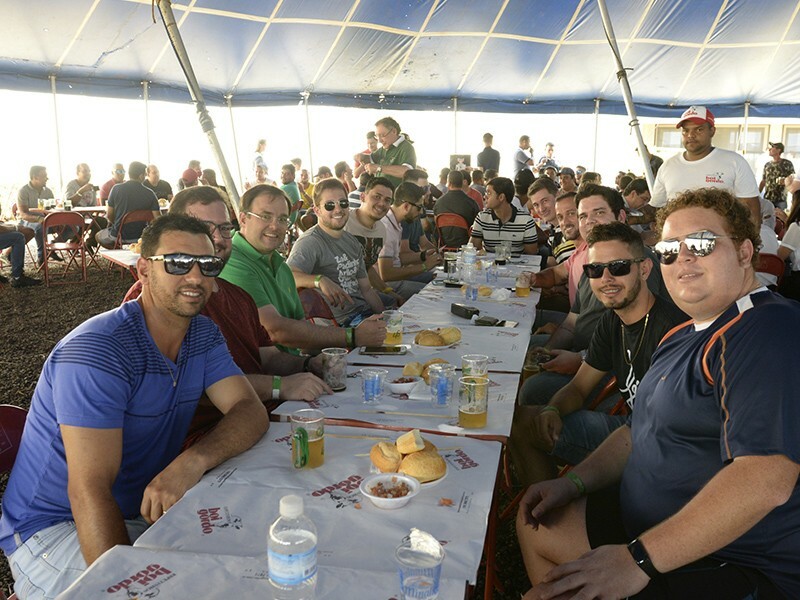 There was a fellowship integrating its employees and partners in an event full of joy, music, food, drinks and various awards. 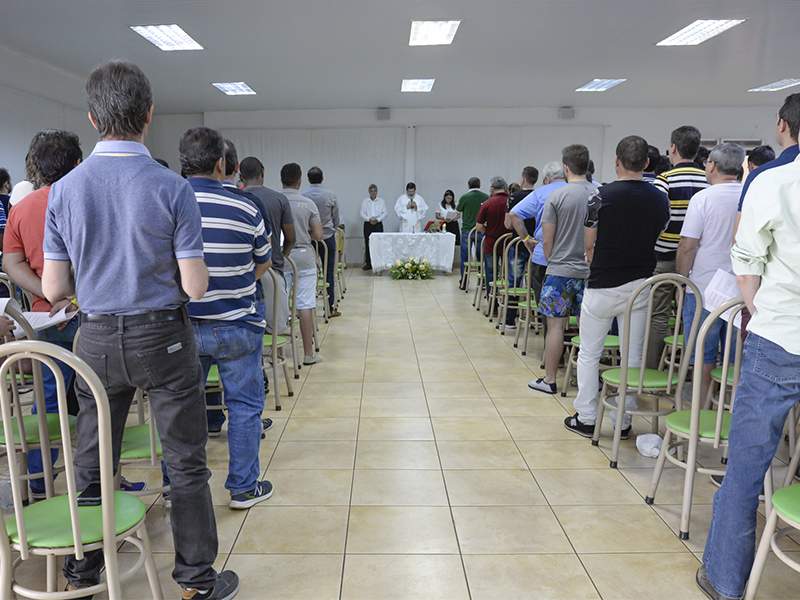 Employees who have completed 20, 25, 30 and 40 years of work in the company were congratulated and honored. 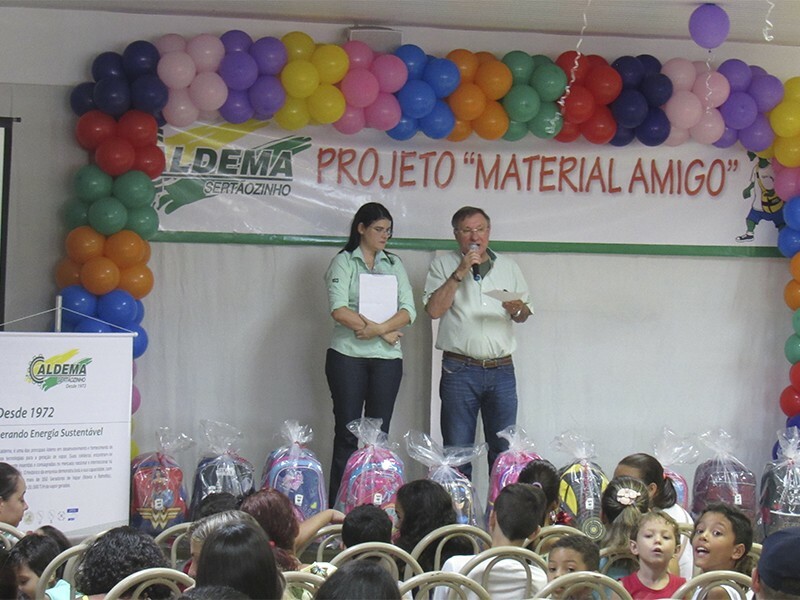 The Project Material Friend, which has as main objective, the delivery of school supplies to the children of employees and collaborators students. 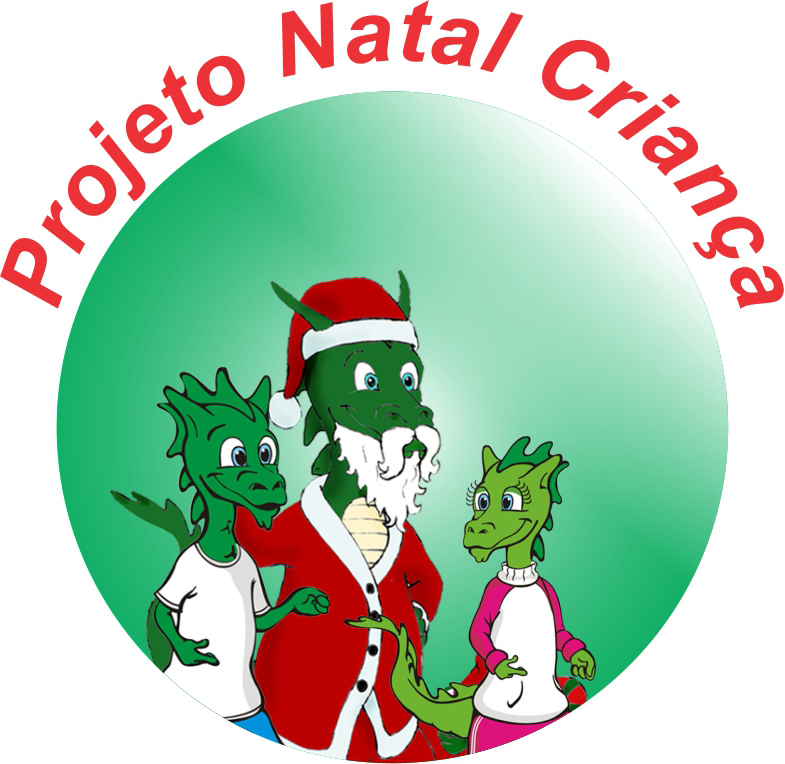 Held for more than 16 years, the project in 2019. 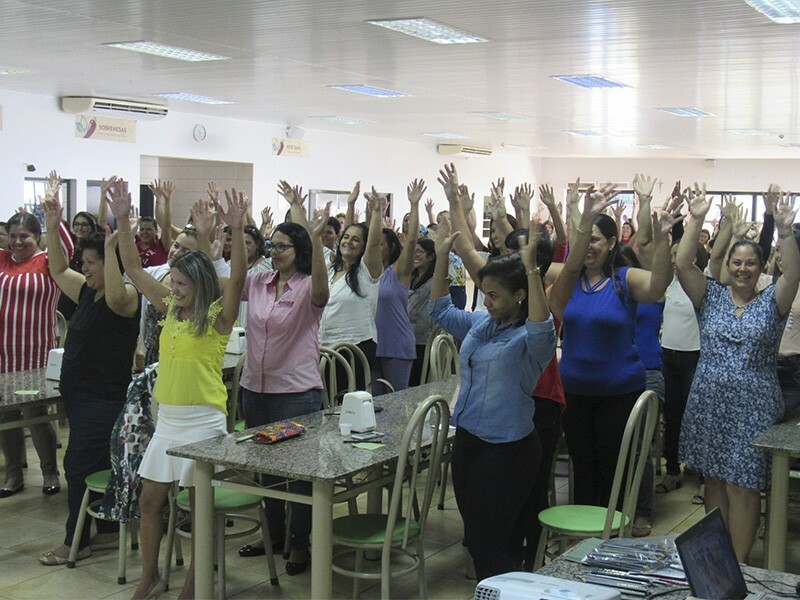 The company believes that investing in education is the best way to get positive results, and that young people are the greatest asset of a country. 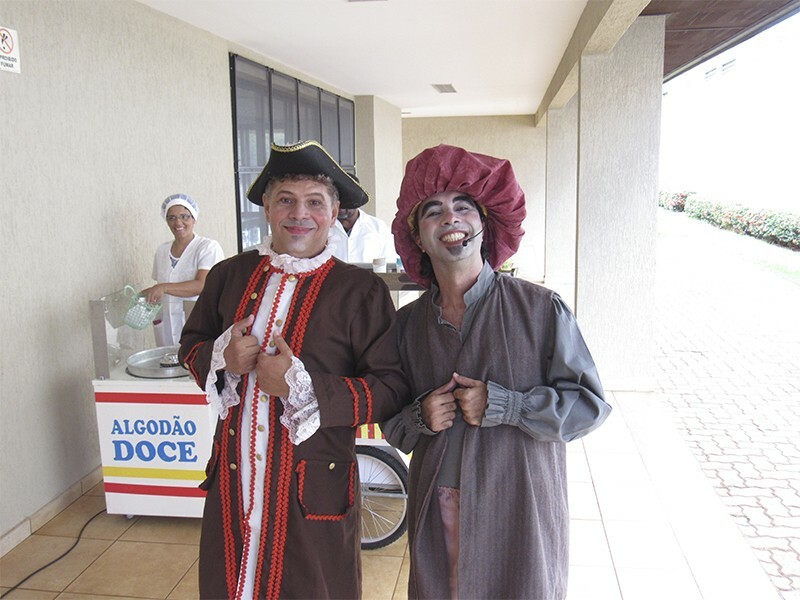 The actors Toninho Costa and Juliano are part of the group "Dalapagarapa Enchant Productions" made a play where it was wonderfully approached the theme ''Civic Action''. 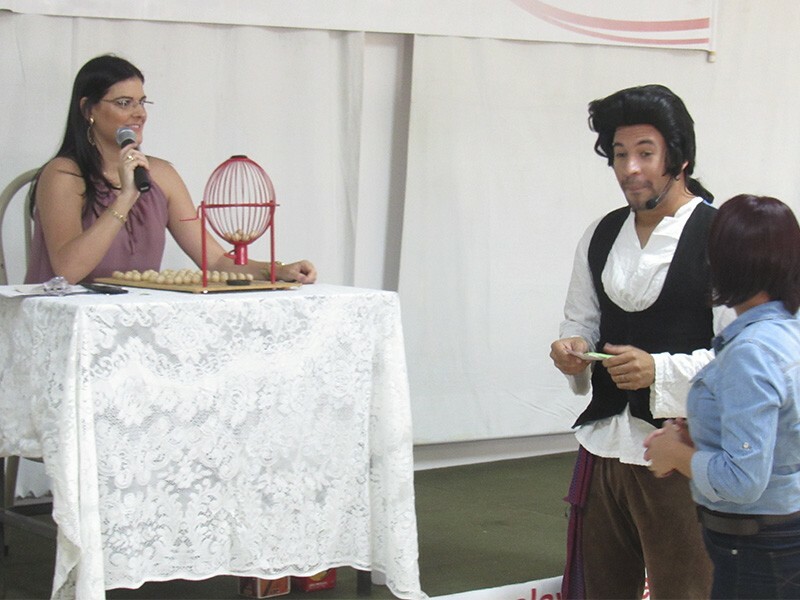 To end the day in style, there was the draw many awards to participants and little train ride. 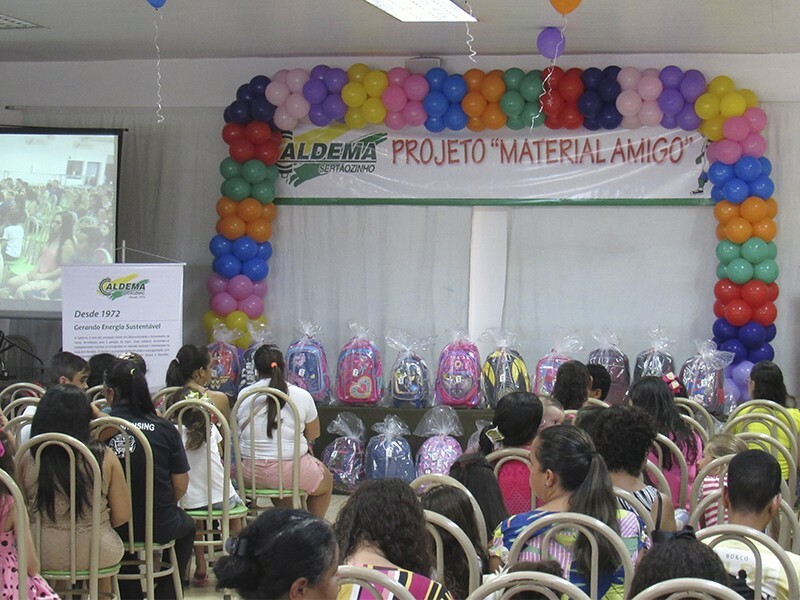 This is another project carried out successfully by Caldema. 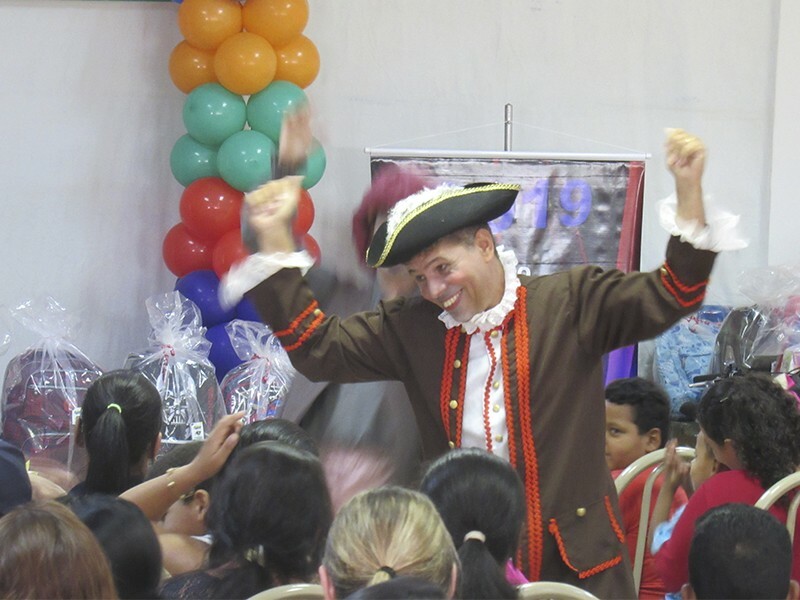 Another important event to be highlighted is the project New Life. 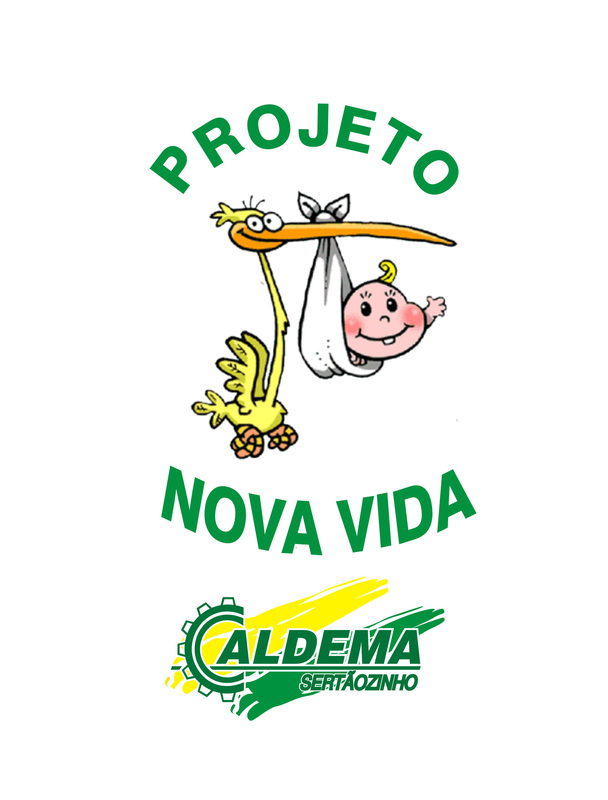 The Caldema know that the arrival of a baby in a couple's life is something very special, so it was created this project. 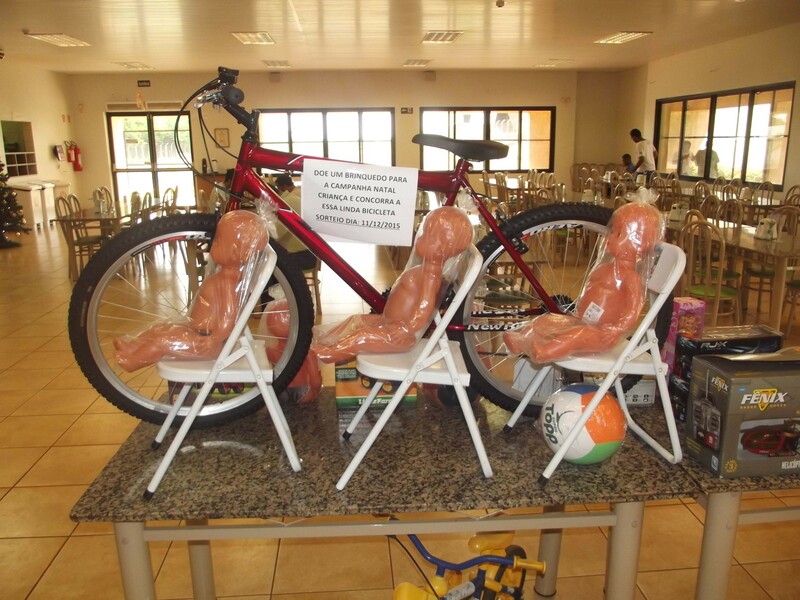 The aim is to congratulate and celebrate the arrival of the baby and demonstrate to parents the importance of emotional ties between them and the new member of the family. 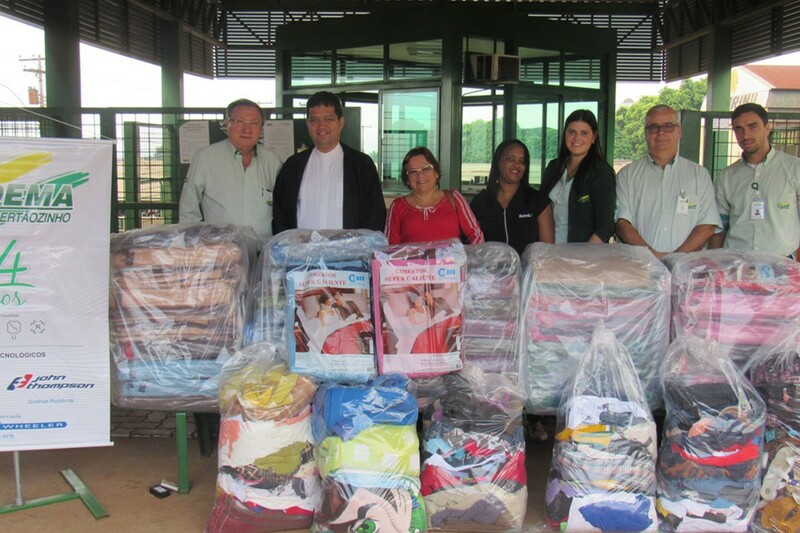 The company contributes a kit of primary care for the newborn, in addition to guiding the family about the care with him. 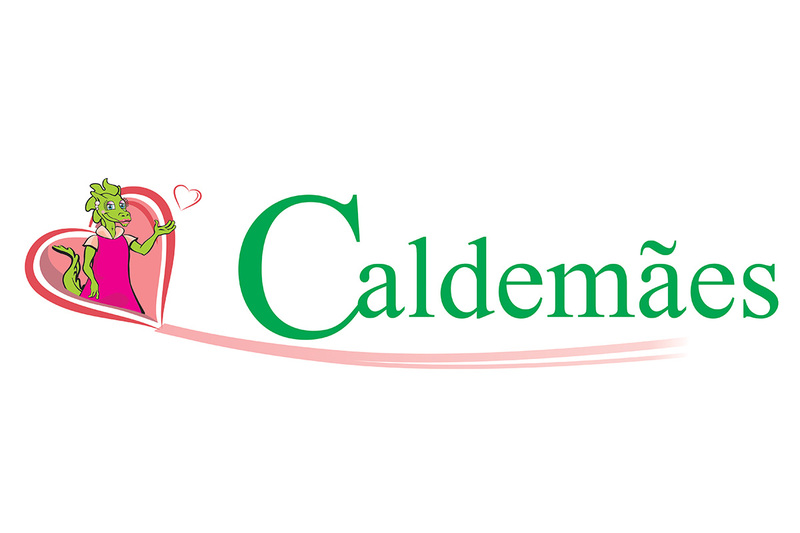 So CALDEMA achieved through these actions, be a company that is dedicated every day more to its main asset, its employees. 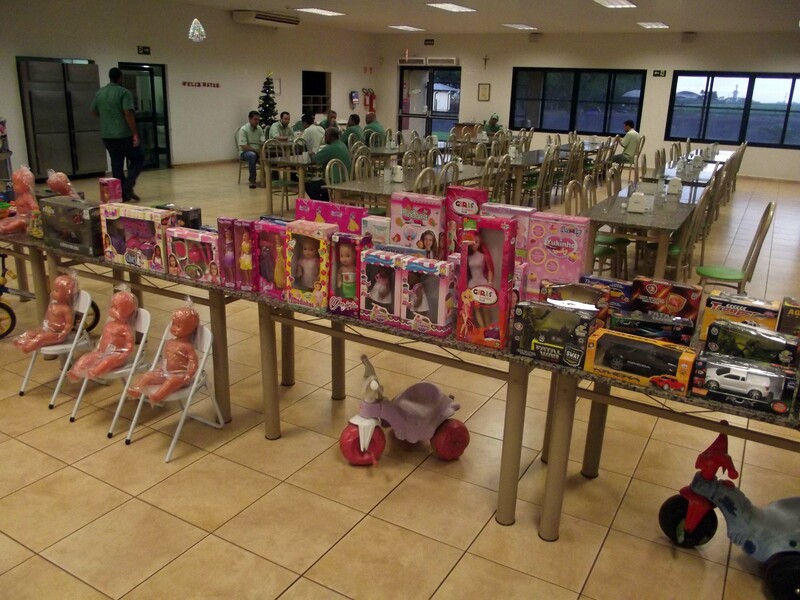 Whereas the Christmas period is a time that inspires solidarity, Caldema created the project Christmas Child, which aims to cultivate the spirit of solidarity and give children at social risk, through participation and involvement of company employees in one more important social responsibility project. 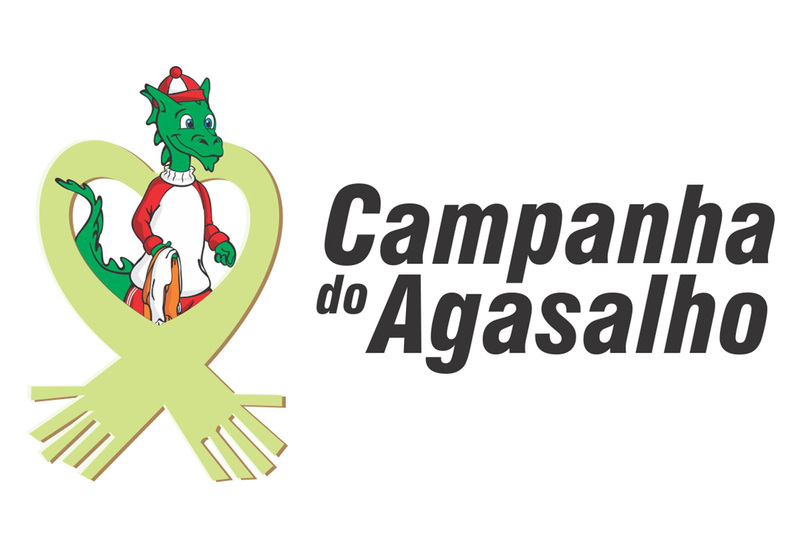 Donations are passed on to charities of Sertaozinho, as the House GRACCIAS (institution that assists children with cancer). 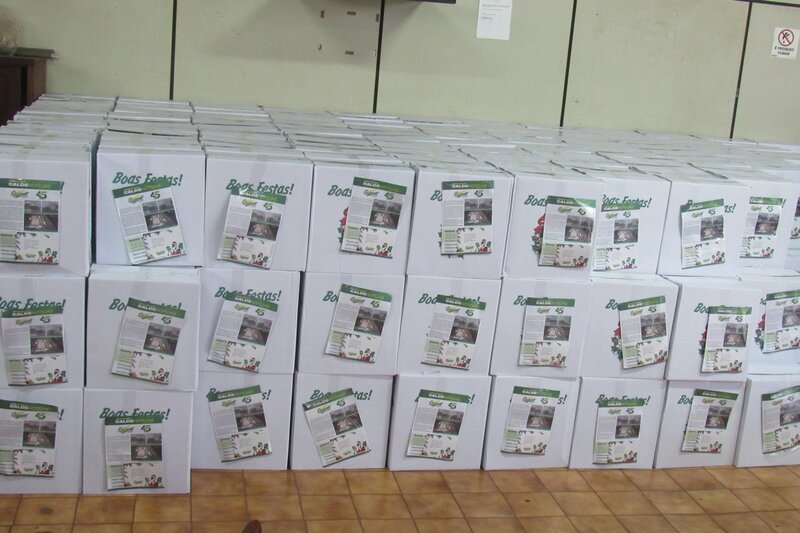 For another year, Caldema presented its employees with Christmas baskets. 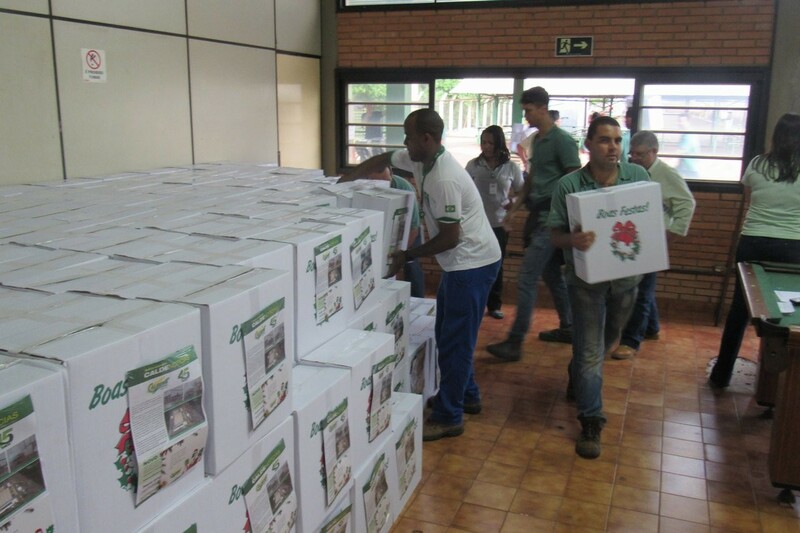 This year dry baskets were distributed. 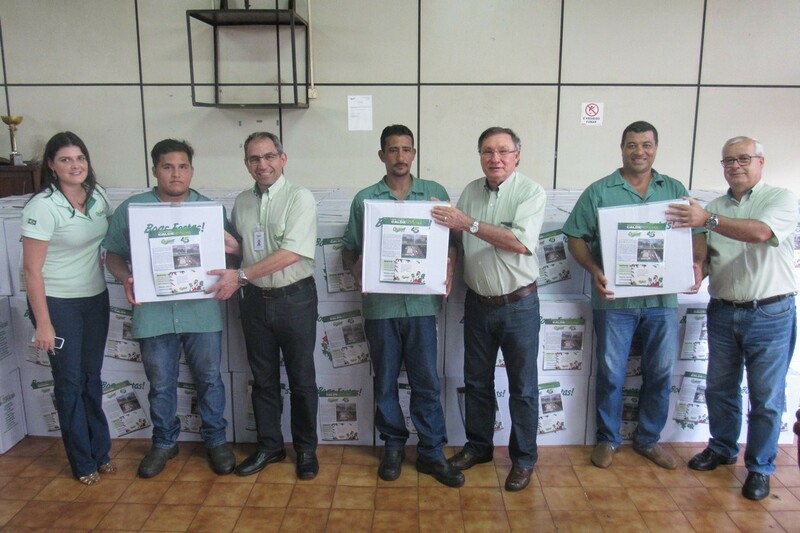 Together, all received the Caldenotícias (Newspaper containing the actions made by the company during the year that has passed). 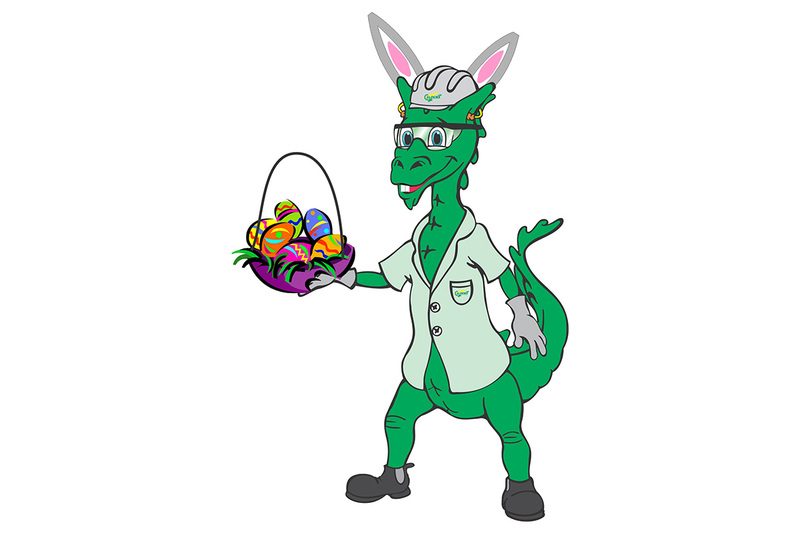 The action takes place at the end of December, and is a way to symbolize and thank for services rendered during the year.